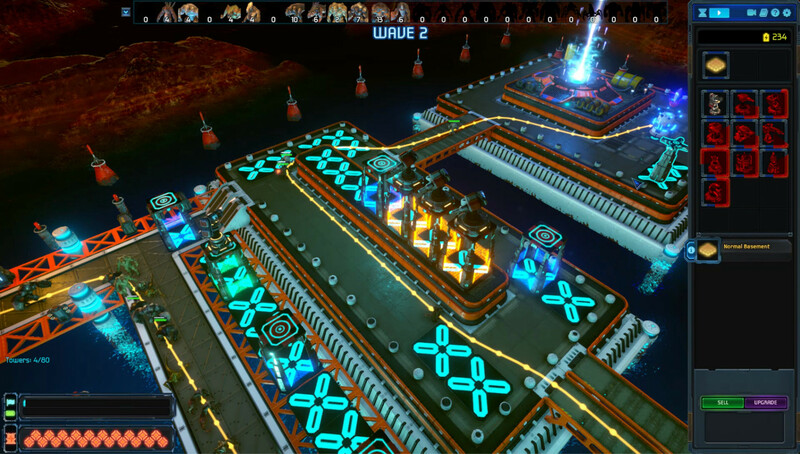 Defense Task Force Sci Fi Tower Defense — a game in the tower defense genre, in it you have to defend your base. You will be confronted by a multitude of diverse enemies, who attack with endless waves, your main goal is to survive. To do this, it is necessary to build defenses, think through tactics of defense, and of course a little luck, because without it you can not cope. The attacking side is diverse, you will be opposed by various parasites, powerful bosses and many others, only twenty-five species. You can build different types of towers, they differ in armament, there are only ten. Build your tower and try to protect it from the assertive enemy. The main storyline features a campaign of 20 missions which would provide at minimum 15 hours of gameplay. The campaign structure is significant non linear aspects which make each level replayable in multiple different ways. 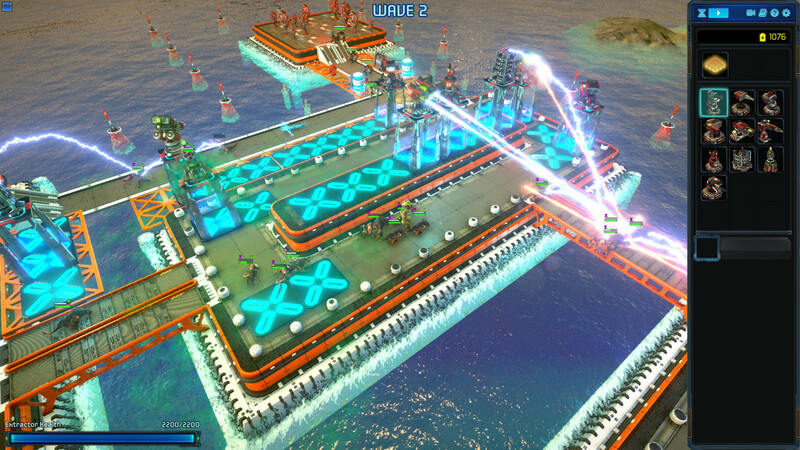 The enemy waves are procedural generated with randomness for infinite mode gameplay of never ending waves. Additionally when playing the same mission a second time the wave composition will be different. 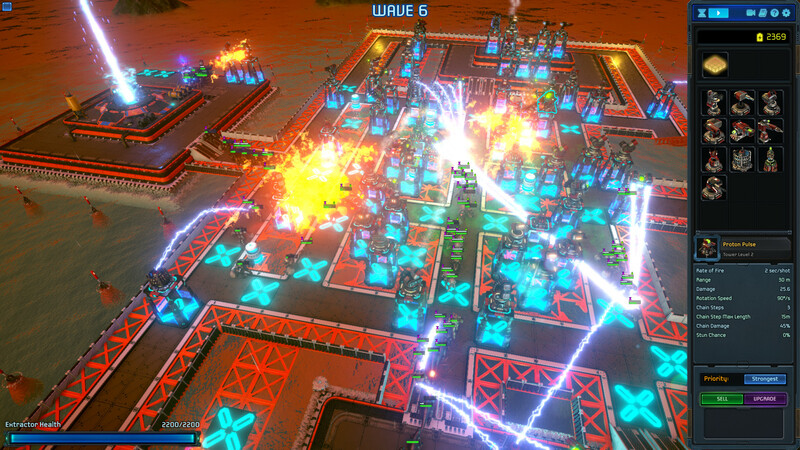 The waves are composed of a total of 25 different types of alien enemy units plus 3 additional units which are spawned by other units. Each type of unit has differences based on speed, hit points, shield, strengths/weaknesses against tower types and special abilities providing for a large multitude of strategies to beat the players towers. 5. Download & install Updates v1.07.26 / v1.08.00, copy the contents of the folder «CODEX» in the folder with the game. This game has been updated 9-11-2018, 09:32 to the latest version v1.08.00. You will now have to defeat 20 new Mega Boss units (one for each sector). The Mega Boss units transfers health and shield from normal Kraken units in order to heal themselves. These Mega Bosses also have the power to Disable the Towers that commanders deploy. Higher level bosses can disable towers faster and for longer. Mega Bosses have the ability to cloak their fellow Krakens with a greater range than normal Kraken units to transfer health and shield from normal Kraken units in order to heal themselves. The game has been game completely rebalanced to support Mega Bosses game mechanics. To make the game enjoyable for someone new to someone who loves endless play we have balanced gameplay upto wave 2000 for all sectors.